Congratulations Springfield Metro Chorus! This 5 year old chorus started with 8 members and the dream to learn as much as we could. Every rehearsal is an educational experience with our Master Director John Stockstill. 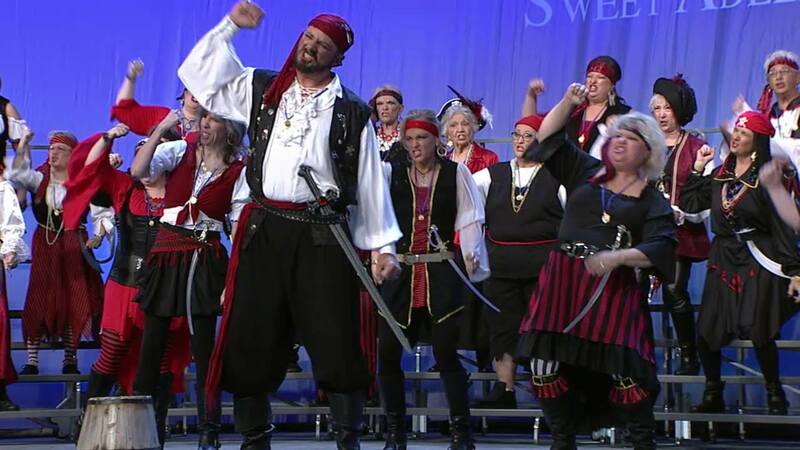 Taking the gold in Baltimore in November of 2014 and becoming the Sweet Adeline International Harmony Classic Division A 2015 Champions was an amazing memory but..... then we not only won the gold we scored the highest in the competition and earned the Mic Testing spot on stage at the 2015 International Semi Final Competition. Boy were we tired when we got back from Baltimore! Back in Springfield we got out our new ballad and started working. Then off to Tulsa in March where we won 1st place in Division AA! But it didn't stop there!!! Our score is the 21st highest score in the world! And this week we were invited back to Harmony Classic to compete in the Division AA competiiton in Las Vegas in October of 2016! What a wild ride to get the opportuinty to wow our audiences again! YeeHaw!